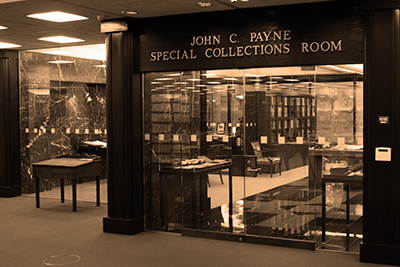 The John C. Payne Special Collections of the Bounds Law Library, University of Alabama School of Law, is named for the late Professor John C. Payne. Its mission is to collect books and archival materials relating to the history of the School of Law, the school’s alumni and faculty, the history of the bench and bar of Alabama, and other topics of legal history. Present special collections holdings include more than 12,000 printed volumes, more than 1,300 cubic feet of manuscript materials, several thousand photographs, and an assortment of artifacts. 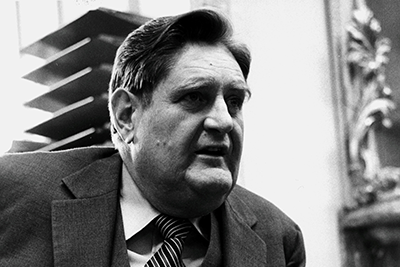 Of particular interest are the papers of former United States Senator Howell Heflin, former Congressman Kenneth A. Roberts, former director of the Federal Deposit Insurance Corporation George LeMaistre, and former professors John C. Payne and Jay Murphy. 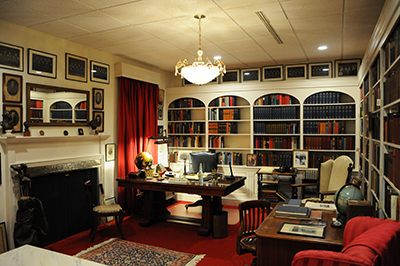 In addition, the Bounds Law Library maintains a replica of United States Supreme Court Justice Hugo L. Black’s Alexandria, Virginia, library, complete with Justice Black's books and furniture, as well as an exhibit of plaques, awards, photographs, and political cartoons commemorating the career of former Senator Heflin. Certain materials in our collections are restricted and are therefore unavailable for public use. Either Special Collections Librarian, Paul Pruitt, or Curator of Archival Collections, David Durham will be pleased to answer any questions regarding our special collections materials. 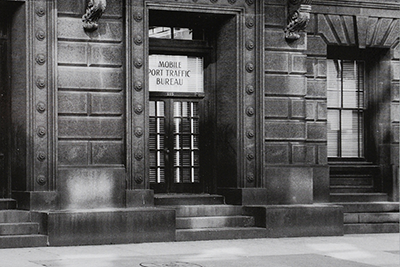 Access to our archival collections including finding aids for select holdings. 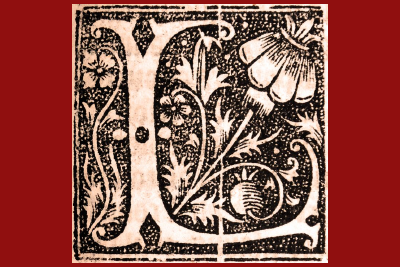 Welcome to Litera Scripta, the Bounds Law Library Special Collections blog. 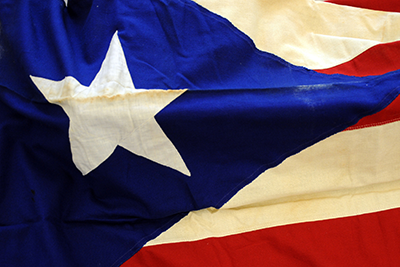 A series contributing to an understanding of of legal history. 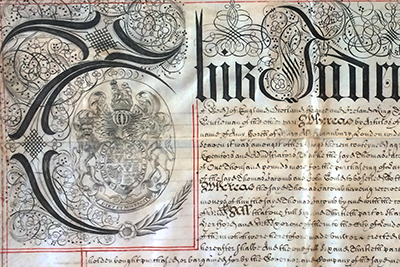 Access online exhibits that represent current or past exhibitions from the Bounds Law Library. Justice Black’s books, personal artifacts, and furniture compliment this replica of his Alexandria study. The Heflin Collection contains documents, printed materials, photographs and artifacts.